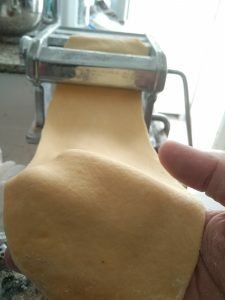 I often hear about people scared of fresh pasta dough making and prefer to use the dry pasta. Well, I have nothing against store dry pasta, it’s great and in fact the quality today of a few of the famous Italian dry pasta is amazing and I use it on a weekly basis. 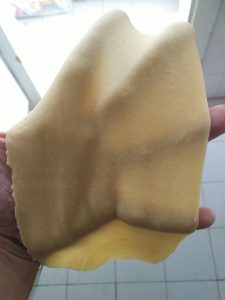 Fresh egg pasta texture and taste is different and I recommend using it when a more delicate pasta is needed. all you basically need for fresh pasta are eggs and flour, that’s it! If you have eggs and flour in your home you can make fresh pasta dough, there’s nothing to it. 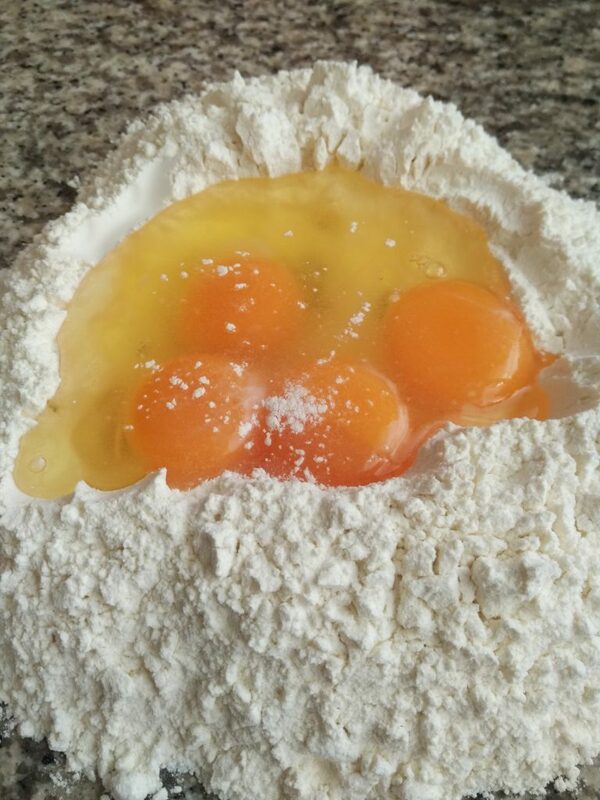 It is all about proportions between flour and eggs to reach the right dough consistency and picking the right ingredients for your pasta dough. I divide the fresh pasta dough making into 3 stages, deciding on quantities and ingredients, kneading the dough and rolling it. Let’s start with the first part, deciding our quantities and ingredients. 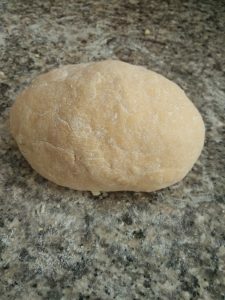 I usually go with a good “00” Italian flour, it makes a great flexible pasta dough, it is rich with gluten and help keep a smooth consistency of the fresh pasta dough and makes the dough friendly to use. 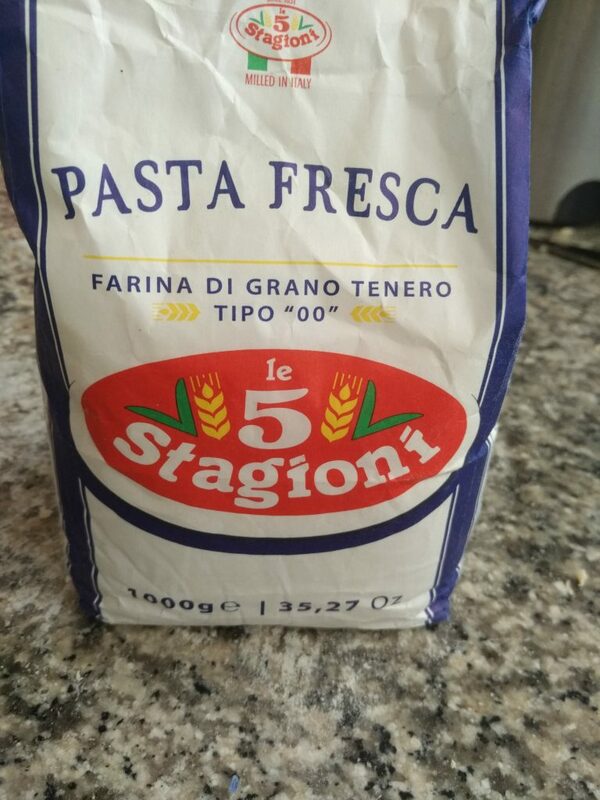 If you don’t have a “00” flour you can use equal amounts of bread flour and all-purpose-flour, it will give the pasta dough it’s nice flexibility and strength. The basic proportions for a good fresh pasta dough are 1 large egg per every 100 grams / 3.5 ounces / 1 cup of flour. With this proportions the dough will be a bit dry and we will need to add another factor to wet the batter, I usually add additional 1 egg yolk for every 2 eggs which means for every 200 grams/6 ounces/ 2 cups of flour I add 2 eggs and 1 egg yolk. 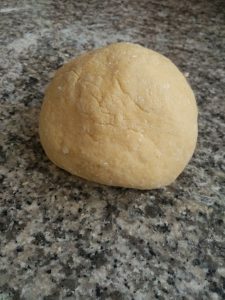 In case the dough is still a bit dry (it really depends on the flour and the eggs you are using) you can also add 2 tbsp of olive oil or 1 tbsp of olive oil and 1 tbsp of water. 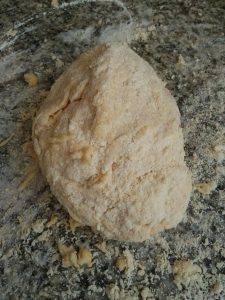 Salt is also added to the dough at a proportion of 1 tsp per 1 cup of flour. 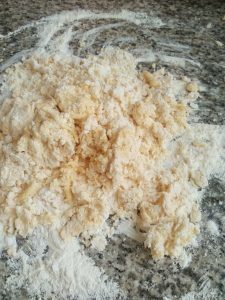 Mixing the eggs and flour can be done via a food processor or a stand mixer with the paddle attachment however I strongly recommend doing it by hand, my favorite method is creating a small well of flour and crack the eggs into it. 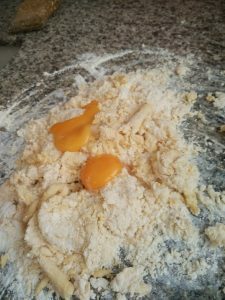 Slowly, using your hands start to incorporate the eggs and the dough until forming a smooth texture, I like to add the egg yolks after kneading the flour with the full eggs for a bit. Keep kneading the dough after it’s smooth for 3 more minutes to release gluten, it will resolve in a much more smooth and flexible dough. 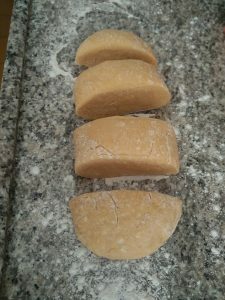 The fresh pasta dough needs to be smooth, after a few minutes of kneading we flour the it a bit and cover the dough with a plastic wrap keeping it in the fridge for a minimum of 30 minutes and max of 8 hours, after 8 hrs. 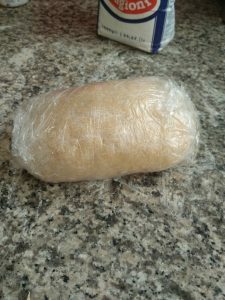 the dough will begin to lose its color and texture and will start to develop a grayish color and will be less easy to roll. The dough had rested for 30 minutes in the fridge and is now ready for the rolling. the most popular method in rolling a dough is the pasta machine however it’s not a must and a perfectly good pasta can be produced by flattening the dough with a rolling pin in the traditional way, like I always say, an Italian mama would not use a pasta machine and still get amazing pasta. 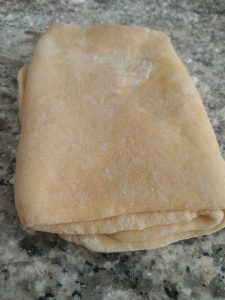 Time to roll, divide the dough into a few parts depends on the quantity you have prepared and place the dough portions that are not used in a box in the fridge or under a wet towel. Flatten the dough with your palm and insert it into the pasta machine to the widest number and then fold the dough into 3 parts, repeat this action 3 times each time fold the dough differently. The pro’s go thru from the widest stage to the narrowest stage 2 times, folding the dough after each roll and start all over again, if you have time, go for it, it will certainly produce a much more quality dough however if you don’t have the time and patience following the strict method just follow my steps below. Start from the widest number in the machine and work out the numbers until reaching the desired pasta thickness, again, best to perform this task for at least 2 times to reach maximum results, the dough should be smooth, elastic and transparent. 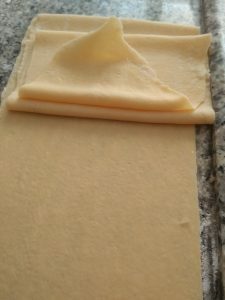 during the process use as little flour as possible, the pasta dough does not need big amounts of flour but when you have reached the desired dough thickness flour the dough a bit preventing it from getting sticky. At this stage, you can choose if you want to store the dough for later use. 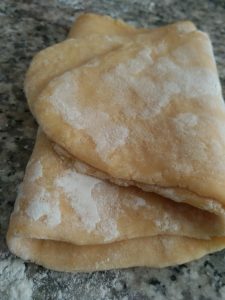 If you don’t need the dough right now, dust the dough with a bit of flour, cover with parchment paper, fold and place in the fridge under a wet towel. if you want to make spaghetti or fettuccine with the pasta machine you can do so easily just by rolling the dough into the desired shape slit. You can also cut the pasta randomly or chose to make Ravioli, Lasagna or whatever comes to your mind, all options are open and will taste great, good luck!